A battle-weary Sri Lanka takes on an upbeat South Africa in the 1st Test at Durban. Sri Lankan cricket is experiencing a real low at the moment. After losing a home series 0-3 to England, they’ve lost Test series’ in New Zealand and Australia. They’re now in South Africa for a 2-match Test series, which will be followed by 5-ODIs and three T20Is. Durban will host the first Test and while Sri Lanka searches for answers, South Africa is on a high. They absolutely mauled Pakistan on the just-concluded series and their pace-attack is one of the best in world cricket at the moment. Expect intermittent rains to disrupt the course of play occasionally but not to the extent of disrupting the Test. Surprisingly, South Africa does not have a good record at Kingsmead. The last time they won a Test here was way-back in 2013, against India. What’s more, the hosts have played Sri Lanka twice here but have been able to overcome them just once. The tourists will aware of this and will take heart from this seemingly favourable track record. Note that Faf du Plessis will return after serving a one-match ban for slow over-rate. This means that either Theunis de Bruyn or Zubayr Hamza will have to make way for the skipper. Expect the rest of South Africa’s squad to be the same as the one that featured against Pakistan. 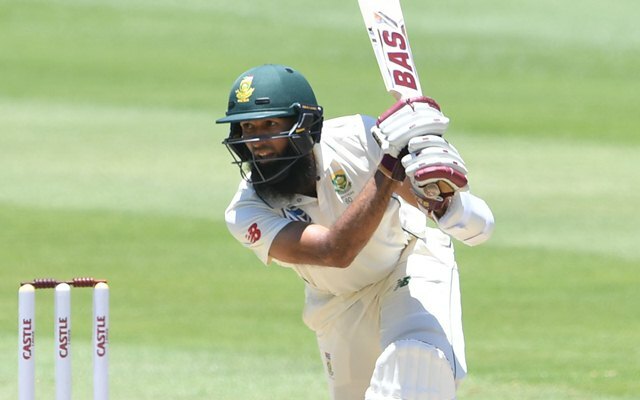 Dean Elgar, Aiden Markram, Hashim Amla, Faf du Plessis (c), Theunis de Bruyn, Temba Bavuma, Quinton de Kock (wk), Vernon Philander, Kagiso Rabada, Dale Steyn, Duanne Olivier. DimuthKarunarathne finds himself leading the Lankan squad with Dinesh Chandimal being axed after a disastrous twin-tour of New Zealand and Australia. 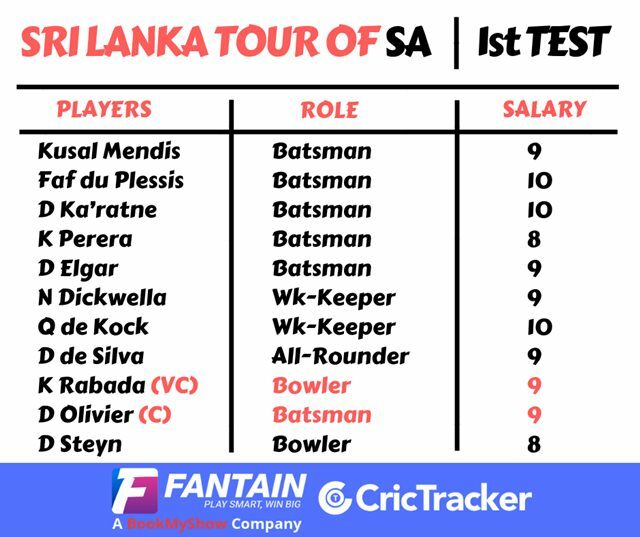 Dhananjaya de Silva will most likely play at number 3 while Milinda Siriwardana and Angelo Perera will look to provide solidity to the middle order. The Kingsmead track has over the years gotten slow and tends to offer turn. This might just prompt the tourists to play an extra spinner. DimuthKarunaratne (c), LahiruThirimanne, Dhananjaya de Silva, KusalMendis, KusalPerera, MilindaSiriwardana, NiroshanDickwella (wk), SurangaLakmal, Lakshan Sandakan, KasunRajitha, Vishwa Fernando. Aiden Markram: the South African opener has been in relatively good touch with a string of starts but the big ton continued to elude him against Pakistan. Expect him to score big against Sri Lanka. Dale Steyn, Duanne Olivier and Kagiso Rabada: this is as formidable a fast-bowling trio as any in world cricket at the moment. Olivier can extract strong bounce from the wicket and will look to trouble the Sri Lankans yet again.